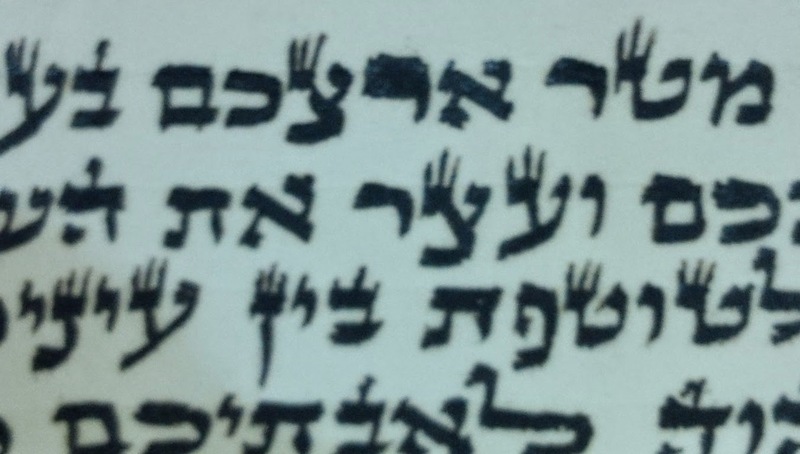 Reish- if we measure the regel based on the general ksav then it looks to be a kemaleh Yud (probably not long enough according to the MB). According MB if a tinok recognizes the letter you may fix the length of the regel. R' Moshe, Which shaila do you refer to? The psak I have is that it depends on the length of the regel. If it's a kemaleh os ketana it is kosher (not like the Yad Efraim and Kol Sofrim who require a tinok) and if not it is pasul. 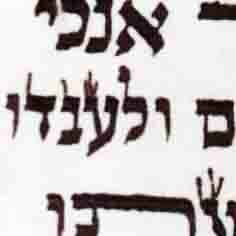 (Of course there's the machlokes what a KOK is - a kulmus or kulmus and a mashehu. I haven't carefully measured but in this case it is likely a KOK (not likely according to the MB hence might be pasul according to him) based on the general ksav. Perhaps, since the KOK is based on the general ksav, there'd be basis according to those not choshesh for the YE in this case to ask a tinok? 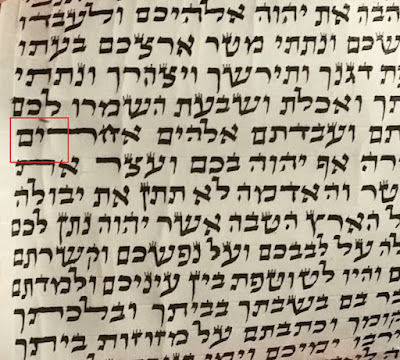 The MB [32:40] is meikal that although there isn't a mlo ois ketana and the letter is passul, since the tinok recognizes the letter, it can be fixed in tefilin shlo ksidran. 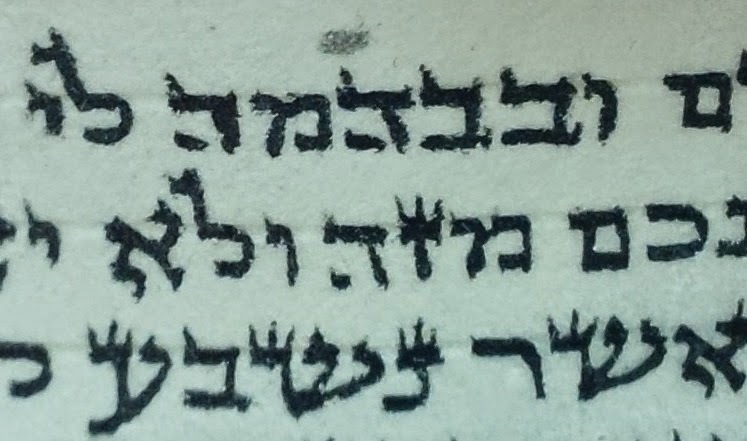 I understand that this kula of the MB is correct according to his shita, not only in regard of the left regel of the hay, but in regard to the right regel as well. I'm not aware of anyone understanding the MB that this applies applies to the right regel If so, a maleh os ketana is required and is otherwise pasul and irreparable. In this case, while I didn't measure, if measured according to the standard kulmus, it appears to be pasul and irreparable according to the MB, who requires a kulmus plus. However, others who only require a kulmus it appears to be kosher. Do you have a mekor to apply this to the yerech? What about Menachos 29a? 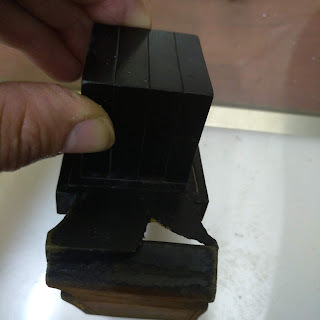 But in any way you hold in that regard, when we combine this svara, to those that say that MLOK is measured by standard width of the csav, and not by this reish which it's gag is an exception. It is pashut that you can fix the reish. Kindly e-mail me a copy or a link at sofer@stam.net. In the meantime I hope to discuss it with Rav Friedlander. Note that the 2 sources I quoted are present day poskim. Typically the Kesiva Tama quotes both tzadim but in this case he doesn't provide any mekoros to be mechalek. Are you aware of any Shutim or Poskei zmaneinu that are mechalek?